Sydney, the gateway to Australia, is the largest, oldest and most cosmopolitan city in Australia with an enviable reputation as one of the world’s most beautiful cities. It is a city of spectacular natural beauty and stunning world-famous architecture, and is renowned for its free-spirited outdoor lifestyle. 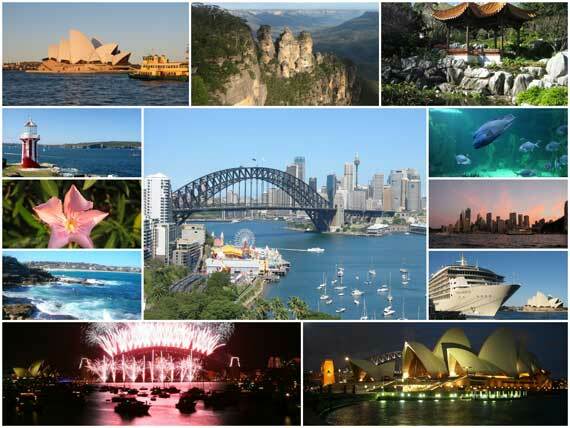 The breathtaking Opera House and Harbor Bridge have become national icons, rivaled only by Red Kangaroos, Uluru and Koalas. Although Aboriginal people have inhabited the Sydney region for many thousands of years, the city has a relatively short modern history – albeit a strange and fascinating one based on the bizarre idea of sending 18th century British criminals halfway across the world. The city is surrounded by nature and national parks, which extend into the suburbs and right to the shores of the harbor. If one word can sum up a city, the word describing Sydney is diversity. This is a city of diverse culture, a diverse ethnic blend, diverse shopping and diverse experiences.